It is time to break office stress-free and don't worry about coming late to work after a long party night. You will never get busted in your office next while sneaking in without getting a notice for your late arrival. Save yourself to save your job! This time the Boss is really angry and has deployed a whole team that will keep a tab on every move of yours. So, this time if you are caught sneaking late into office, be ready to face the musical bash from him. This Office Rush game will give you the exact same feeling of adventure, suspense and adrenaline rush as you try to escape everyone's vision and run to your desk every day in your office. 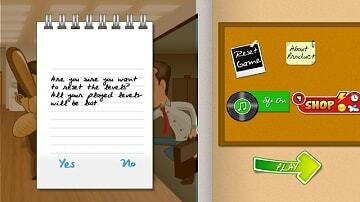 Check out the 'Office Rush' Game and witness the most amazing office experience ever! Make your way through the maze of cubicles and super active colleagues, whose constant vigilance will try to catch you red-handed every moment. With your tactical and sharp moves reach your destination within the specified time frame. Office Rush is a game where you have to be very fast and wise at the same time while using your strategic planning skills as there are lots of eyes of your seniors on you to bust you out. Coming office daily will be extremely fun for your but not to forget challenging as well because you have to be very careful. This fun will leave wanting more and more as you polish your strategy game skills with this game and will love to make new plans and try them too. With lots of powerups and boosters like becoming invisible and many other boosters, this game is surely a keeper which will keep you wanting more and more and will keep you engaged with our limitless number of levels. Office Rush is a perfect game for all those who are bummed by their offices and finding a perfect place to let their frustrations out. Office Rush game a truly addicting game with more than 400 levels which will keep you playing all day long, putting your phone aside will become difficult and much more difficult. It is the time that your phone has some good game that is way too real and so relatable our real work-life situation. Be your own boss and arrive office in style, escape being caught while grabbing your work essentials. You can call this game addicting, thrilling, adventurous, strategic, fun and everything an excellent game must have. 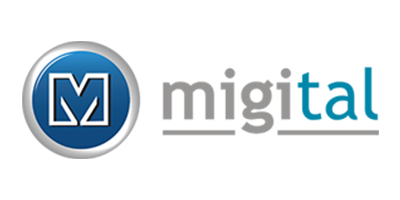 So, don't wait anymore to make your work life more funny and interesting as you will love to try out the sneaking skills that you cannot do in your real office but you sure can do it in your virtual office. No breakfast, no coffee, this man just wants to reach his office on time! Use your dynamic skills and ultimate powers to successfully complete this mission! 1. Super exciting modes Trainee, Fresher & Experienced. Start the day with your real life situation; start easily if you are a beginner in this strategy game or with advanced and intermediate if you already know how to trick everyone with your sneaking skills. This game gets better as you learn gradually how to fool your seniors in the office. 2. 400 plus Addictive levels! 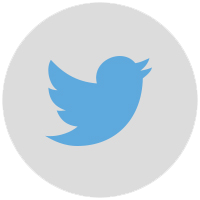 We understand that a good addicting game comes with lots and lots of fun levels. Enjoy the endless journey of sneaking and collecting rewards in office as polish your gaming skills in this strategy game which will surely give you an adrenaline rush. 3. Ultimate power-ups to boost your speed and keeps you moving. There are so many power-ups and booster which not only will make you a more powerful person in your office but will also add on to your skills to make you a better player in this strategy game. Get more and more power-ups as you get better and better in this game. 4. Its lighthearted feel and excellent graphics make it perfect for all ages. Oh if our real office place can this exciting, amazing, fun and such a treat to eyes. So, that's why we have created a virtual office for you and made it look like a dream office with exciting graphics, light music, top effects and much more. Play this game to and be a part of a happy office place forever. 5. Face fun, brain-teasing challenges! 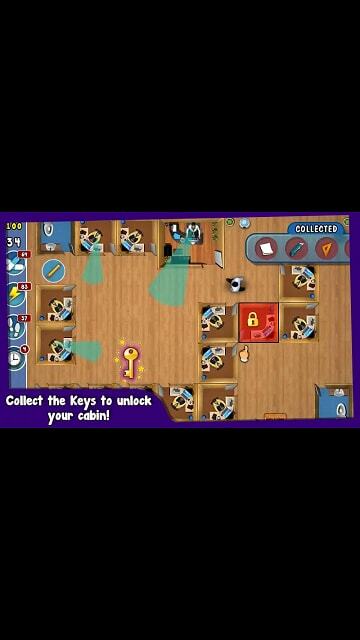 This game will tickle you, make you go nuts, challenge you in every way, and make your brain run like mad with tricks and tricks to sneak into office in new ways even when the situations get tacky and you have got more eyes on you when pass new levels and game becomes more challenging, but fun of course. 6. Collect stars, earn Coins and shop for different power-ups. A game without boosters is like a cake without icing. A game without rewards is just the same, so we have made sure that you get tons of rewards for your every smart move and showing off your super sneaking skills like a boss. 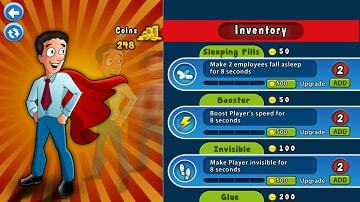 Enjoy this fun and addicting strategy game to win lots of superpowers and credits. 7. Fool everyone around with your tactical & smart moves. Fooling is fun especially when t is completely harmless, so keep fooling your seniors in office in this game with your killer moves and strategies that will help you clear all levels. 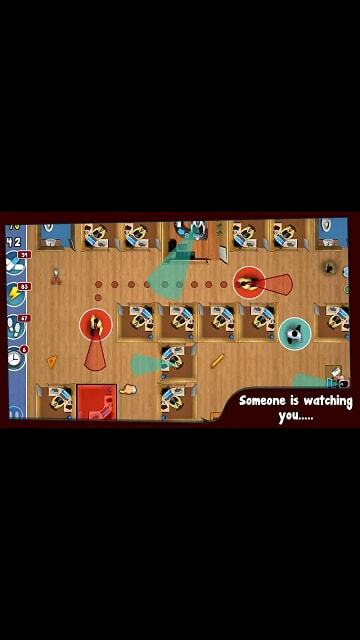 Get skilled in fooling everyone and sneaking into your office without getting noticed as you clear more and more levels in this game. 8. Sneak into the office without getting busted. Sneaking is an art especially when you have lots of eyes on you, so what to do, how to get to the workspace? Well, there is a lot on your plate in this game as you have to be very attentive to escape the vision of everyone without getting busted. 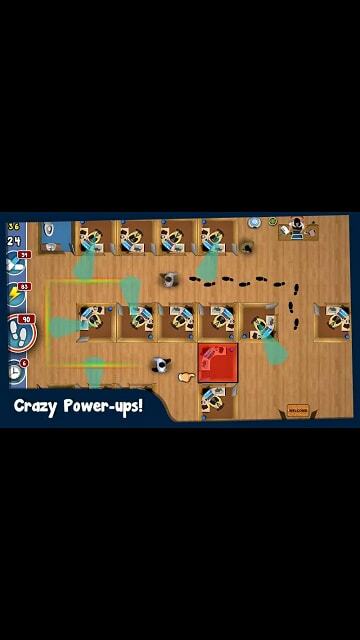 Office Rush is an exciting game which teaches you how to become a sneak expert in your office. 9. Do you reach late to office and often get embarrassed? Well, we all know the embarrassment we have to face when we get caught red-handed when coming late to the office. Why face it anymore now, in the real world it is not possible to sneak to your workstation without being noticed, but it is possible in this gaming world, so say goodbye to the old embarrassment and rule the office in style. You can download Office Rush strategy game from https://play.google.com/store/apps/details?id=com.migital.officerush Click on install and start playing this addictive office strategy game and make your work life more interesting and fun with this cool free game. 2. How to select the beginner/intermediate/expert levels in Office Rush game? You can choose to play as per the level of difficulty in the game. Go the menu and select the stage that you would like to start with i.e. Beginner, Intermediate or Expert as you start to marvel at the game and become a master at fooling your seniors in the office. 3. How to reset the game? Want more stars? Already mastered the game? Let's begin again with a fresh new start to collect more rewards by resetting the game. Click on reset option in the main menu and click on 'YES'. It will reset your game so that you can start afresh to get 3 stars in all levels. To turn on/off the music, go the main menu, click on the music button. You can choose to set the sound settings as per your desire from here. Save the settings before exiting and your music preferences will be saved from there. 5. How to unlock the higher levels? The only way to unlock the higher levels is to pass the previous levels first. As you advance the game, the levels will start getting unlocked automatically. Alas, there is no other way to reach out the higher level except keep playing. 6. How to buy boosters? You can buy boosters using your star credits which can get by playing more and more and finishing levels with 3 stars. To buy boosters, go to the menu, click on shop, you can find all the boosters and powerups there which can help you to clear the level when you get stuck or busted. 7. How to get more coins in Office Rush? To get more boosters in the game, try to finish the game before the allocated time range, the earlier you finish the game, the more stars you get and the more stars you get,n the more coins you get. So try using your best gaming skills to finish the levels easily and get more coins. You can use these coins to buy powerups and boosters. 8. How to use the Joystick mode? 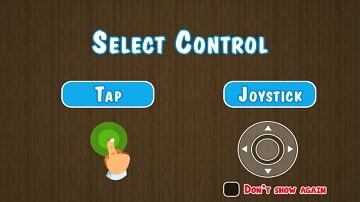 While starting the game, you are required to chose the made between Joystick and Tap mode. You can choose the Joystick mode from here. 9. 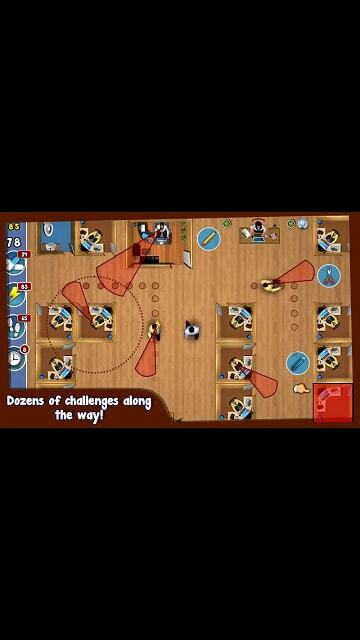 How to find more fun games like Office Rush? 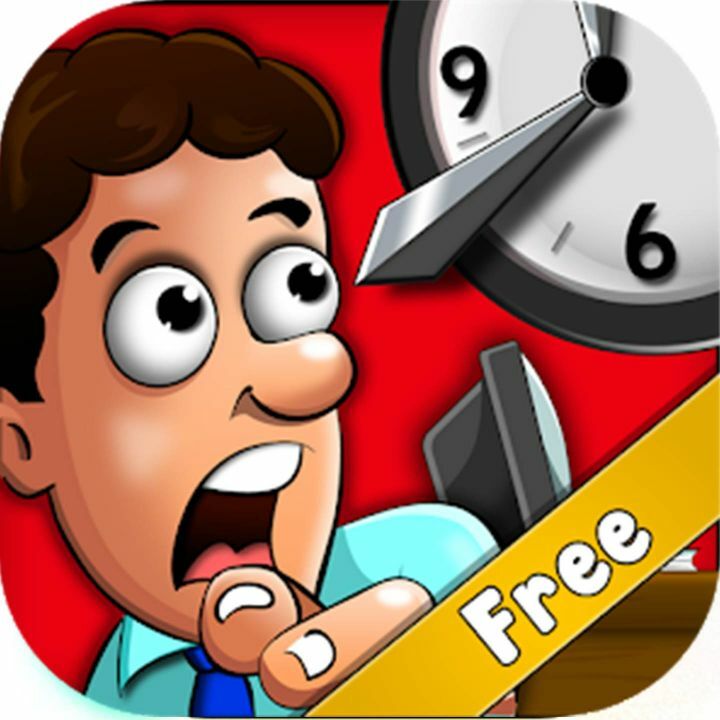 Office Rush is a mobile game which is made for all strategy lovers, who love to the device out a way to come out of a problem and what problem can be bigger than running late office daily and getting busted by the seniors. Well, in Office Rush you have to secretly make way into your office without being noticed by anyone. Play this addicting, fun and free game on your smartphone. Want some more useful Gaming Apps? Try Track Builder for your Android/Apple phone now.